Submit your film permit application and manage your production. A new kind of location library. It’s public property exclusive, and a snap to search. LocoScout helps filmmakers find some future favorites. The studio zone is a 30 mile radius used by union film projects to determine per diem rates and driving distances for crew members. The California Film Commission has information on how to accurately determine the boundaries. Mobile app with a useful directory of Los Angeles city services and phone numbers. You can also report certain community concerns that are unrelated to filming. Monitor real-time road closures, parking restrictions, and data from FilmL.A. and the Los Angeles Department of Transportation. NavigateLA is a web-based mapping application that delivers maps and reports based on data supplied by various City departments, Los Angeles County, and Thomas Bros. Maps. 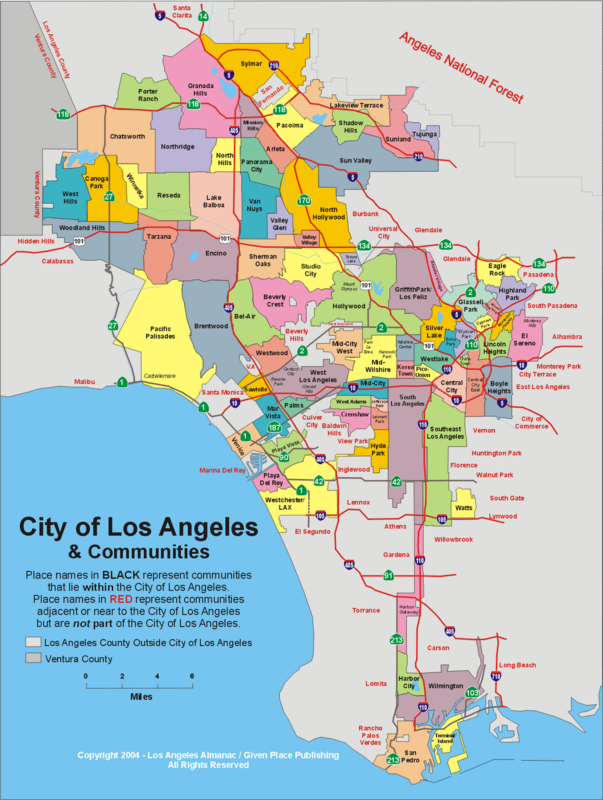 This map illustrates the numerous neighborhoods within the Los Angeles city boundaries. We encourage you to use our logo in the credits of your latest Los Angeles production. For high-resolution logos and branding guidelines, please contact media@filmla.com. DISCLAIMER: THE FOLLOWING LISTED PROVIDERS ARE THE ONLY COMPANIES OR RETIRED OFFICERS THAT PROVIDE ACTIVE/RETIRED LOS ANGELES POLICE OFFICERS TO BE USED FOR MOTION PICTURE/TELEVISION LOCATIONS. DISCLAIMER: The following listed providers are the only companies or retired officers that provide active / retired Los Angeles Police Officers to be used for motion picture / television locations. DISCLAIMER: This list is provided by FilmL.A., Inc. as a courtesy to its customers. FilmL.A. neither guarantees its accuracy nor endorses any company listed. FilmL.A. will not be liable for reliance on any listed company’s fitness for any purpose. Compliance – when a film production company conducts its business on-location in accordance with the conditions of its film permit. Enforcement – the use of authority by active, off-duty peace or fire officers to bring about compliance. May include permit suspension, revocation, cancellation and amendment, or the denial of future permit applications. Exceptional Activity – specifically defined as on-location film activity that includes the following potentially disruptive activities: aerial activity, gunfire, special effects and pyrotechnics, and activity taking place outside of normal filming hours in residential areas. Normal filming hours in residential areas are 7:00 a.m. – 10:00 p.m. Monday through Friday and 9:00 a.m. – 10:00 p.m. weekends. Field Services Representative – a FilmL.A. employee responsible for distributing Notices of Filming (see Notice of Filming) to all residential and business properties within a determined vicinity of upcoming filming activity. As the first point of contact, for community members, FSRs regularly assist them in answering questions about filming activities. Filming Survey – (also referred to as Community Survey or erroneously called Signature Survey) a door-to-door survey of residents and businesses in an area in which a production company wishes to film. It is performed in cases of exceptional activity (see Exceptional Activity) by production companies or their representatives using forms supplied by FilmL.A. Survey responses are used by FilmL.A. to identify and mitigate issues with filming through the coordination process. The Filming Survey is frequently mistaken by members of the public to be a request for neighborhood approval, which it is not. FilmL.A. Production Coordinator – (also known as Permit Coordinator) a FilmL.A. employee tasked with obtaining and coordinating approvals from various government departments or agencies for the issuance of a location film permit that balances the requests of the film production company with the needs of the local communities where filming occurs, and interacting with the public and production company to resolve filming issues if/when they occur. Filmmakers Code of Professional Responsibility – (also known as Filmmakers Code of Conduct) a document that sets standards of conduct to which production company personnel shall adhere when filming on-location and concurrently informs communities of the level of professionalism they can expect from production companies. It is attached to every permit released by FilmL.A. Film Commission – in contrast to FilmL.A., which is a private, nonprofit service organization, film commissions are publicly-funded government entities focused on promoting a particular region to the film industry in order to reap the economic benefit production brings. Location Manager – the individual charged with finding and securing film locations and required permits for a production company wishing to shoot on-location. He/she may also assist in planning the logistics of the shoot and serve as the production’s community and government liaison. Monitor – a FilmL.A. employee assigned to film shoots when special circumstances warrant (e.g., when required under special conditions [see Special Filming Conditions] or when requested by the office of a local elected official or other government department) to interact with the public and production company to resolve filming issues. FilmL.A. Monitors can encourage compliance (see Compliance) by reminding production companies of their professional obligations and appealing to their good judgment. In response to unmet community needs, the Monitor program was voluntarily created by FilmL.A. in April 2001. Motion Picture Officer – active, off-duty police officers or retired police officers who are issued work permits by the Los Angeles Police Department and employed by production companies to ensure permit compliance (see Compliance) on-location, direct traffic and control crowds. Notice of Filming – either a blue 4 1⁄2-inch x 14-inch card or an email distributed to the community to inform community members about upcoming film production. The Notice includes pertinent information such as the permit number, location, date, time and description of filming activity, as well as street/lane closure information and parking restrictions. Notification – the act of distributing Notices of Filming to the community affected by a film production within a standard 500-foot radius of a permitted filming location and a 200-foot radius from permitted parking. When exceptional activities occur (see Exceptional Activity), FilmL.A. notifies within an expanded radius. When possible, notification is performed two days or more before filming begins. On-Location – the term used to describe film productions that are shot on public or private property outside of a certified sound stage or studio backlot. Permit – an official government-issued document that grants temporary permission to conduct commercial filming and/or still photography on-location. Permit Coordination – the process that involves accepting applications to film on- location, identifying and addressing potential community impacts and obtaining required approvals from agencies or departments such as police and fire, transportation, animal regulation and public works in order for a film permit to be issued. Permit Issuance – when a local government authority approves a given request for a film permit. FilmL.A. releases finalized permits to production companies on behalf of its government clients, the issuing authorities. Permit Service – a private entity that works for production companies to secure permits from the issuing authorities in the jurisdictions where filming is to occur. Permit services obtain permits through FilmL.A. when film production occurs in a jurisdiction with which FilmL.A. contracts. Additionally, a permit service may perform filming surveys and arrange for motion picture officers to be present on-location. Permitted Production Day – a single crew’s permission to film a single project, at a single location, during any given 24-hour period. Posting – refers to the restriction of parking on public streets for film company use through the approval of and posting of signs by the Los Angeles Department of Transportation, or equivalent authority. Posting does not override No-Stopping, No- Parking or red curb zones. A lane closure is necessary for production vehicles to be able to park in these areas. Rider – a document that modifies a previously-issued permit to authorize necessary changes to film company permissions in instances such as unforeseen delays or a change in creative direction. Special Filming Conditions – (also called Neighborhood Specific Requirements) location-specific terms which are added to the standard terms and conditions generally applicable to filming permits, in cases where a particular local area warrants unique considerations. FilmL.A. no longer creates Special Filming Conditions but is available to work with neighborhoods in need to help address filming-related concerns.